Drawing on fragmented written sources as well as his many years of experience as an archaeologist, Fran ois-Xavier Fauvelle painstakingly reconstructs an African past that is too often denied its place in history--but no longer. He looks at ruined cities found in the mangrove, exquisite pieces of art, rare artifacts like the golden rhinoceros of Mapungubwe, ancient maps, and accounts left by geographers and travelers--remarkable discoveries that shed critical light on political and architectural achievements, trade, religious beliefs, diplomatic episodes, and individual lives. 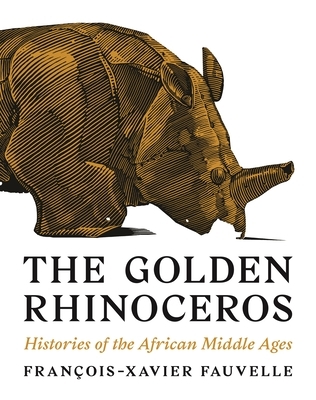 A book that finally recognizes Africa's important role in the Middle Ages, The Golden Rhinoceros also provides a window into the historian's craft. Fauvelle carefully pieces together the written and archaeological evidence to tell an unforgettable story that is at once sensitive to Africa's rich social diversity and alert to the trajectories that connected Africa with the wider Muslim and Christian worlds.